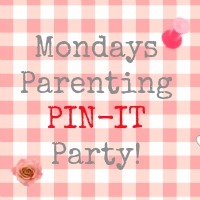 Back to the grindstone this week with our usual Monday treat – our Pinterest Party. We had some great entries latest week while I was hosting, so do pop over to Mum of One to see what we have in store for you all. Add badge for the host on the post that you link up.